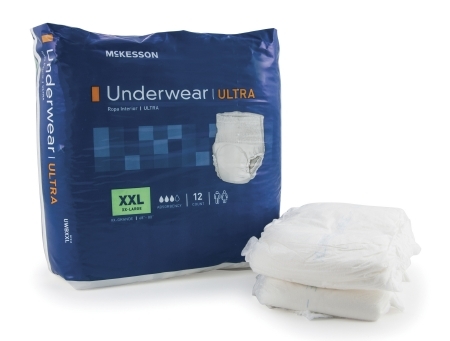 Protection Plus Underpads, 36" x 23"
Ultra absorbency. Soft, cloth-like breathable material provides discreet comfort and promotes drier, healthier skin. Comfort stretch waist for the perfect fit. Pulls on and off like regular underwear. Advanced dual-core performance locks wetness away and reduces pH of urine for advanced ordor control and skin wellness . Premium acquisition layer rapidly absorbs fluid into the core. Inner leg cuffs provide added leak protection.